Hirram Farrand received the patent for his tape measure in 1922, following this he worked with The Brown Company and together they became the first people to mass produce the tape measure which has become such a vital part of any sewing kit today. 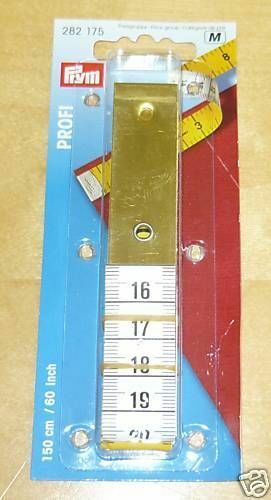 High quality Prym Fibre Glass Tape Measure. 254cm - 100", handy for all your craft andsewing projects.